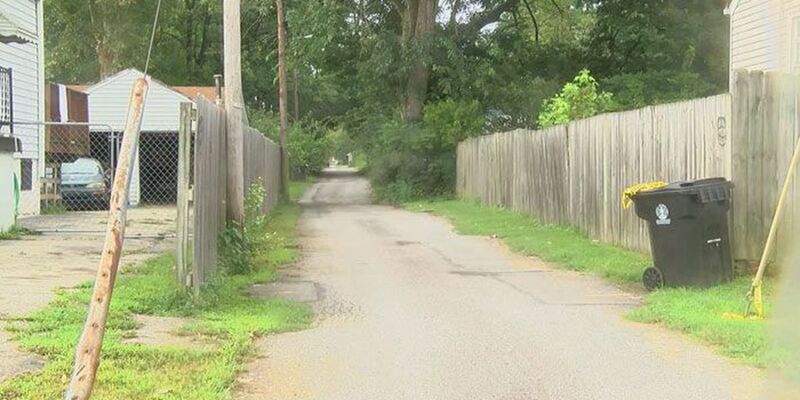 LOUISVILLE, KY (WAVE) – Recent violence in the Beechmont neighborhood is leaving residents with the question, "What's happened to our neighborhood?" The latest shooting took place at around 1 a.m. Sunday morning. That's when Louisville Metro Police Department officers responded to the 4600 block of Southern Parkway. Witnesses there say they heard at least four gun shots. One witness says she was the one who called police when she heard the shots and felt like it was very close to her back window. When she saw the police lights, she walked out and says she found a man, lying on the grass near the apartment's parking lot. She declined an on-camera interview but described the neighborhood as "safe" and that mostly older folk live in the apartment complexes. There is no word yet on a suspect, or the victim's condition. Just a couple of blocks away in an alley off of 3rd Street, LMPD officers responded to another shooting early Saturday morning. This is where 19-year-old Zachery Napper was shot and killed. One neighbor, who lives right where the alley is, says she is uneasy but not surprised. "Beechmont used to be wonderful," said the neighbor, who asked not to be identified. "It's just the last two years or so. You could see the downside, different gangs have come in." In the past six months, the LMPD crime map shows roughly 400 reported cases of drug violations and violent crime in the Beechmont neighborhood. The neighbor, having spent almost two decades in the area, says it used to be a completely different scene, especially around the alley. "I knew all the people who walked up and down the alley and you'd stop and talked at your fence and everything," the neighbor said. "We finally had to put a 6-foot wood fence up because I was scared to go in the backyard." + FORECAST: Enjoy the dry weather while you can! The neighbor said that in the recent years, the alley has become a symbol of the unknown. The neighbor's fence gets tagged with graffiti almost regularly and the neighbor added that the neighbor doesn't know anyone who lives in the area anymore. "There's a lot of drug activity," the neighbor said. "You can watch the alleys and there's just drug activity there all the time and that's just alarming to me." The neighbor's last course of action is moving. After 18 years, the neighbor and spouse are ready to leave the neighborhood. "I feel like they have invaded my space," the neighbor said. With homicide numbers on the rise and the year far from being over, Beechmont residents have yet to rest easy. No suspects have been arrested in connection to either one of the cases.